1982 Les Disques Du Crépuscule (TWI 111) single. This time our partner in crime Martin Hannett came to Brussels for the recording of what was to be our last session together. We worked at Gilles Martin's studio, with Gilles assisting as sound engineer. A wonderful experience, and great creative memories. Benoît Jacques did the colourful cover art. 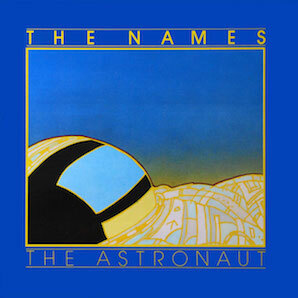 « The Astronaut » was written as a sort of follow-up and answer to Bowie's « Space Oddity ». The song is still one of the band's own favourites, and often concludes our set list on stage, in magnetic / majestic fashion.